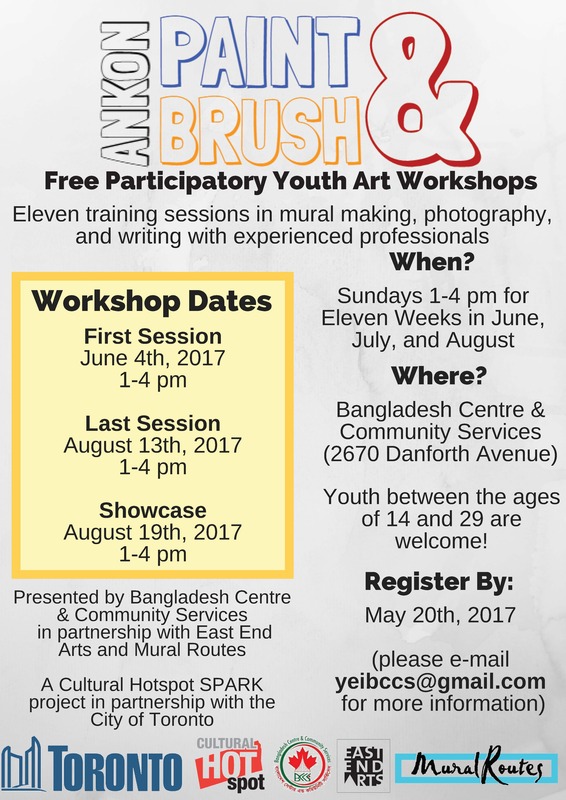 Youth in East Toronto can register now for Ankon: Paint & Brush, a series of eleven free workshops in mural making, photography, and writing! Mural Routes will be leading the mural portions of the program, and working towards the creation of a mural on the Bangladesh Centre and Community Services. See the below flyer for full details and contact information!